The home buying process can be a confusing and intimidating process, but a good realtor can quickly and clearly resolve your confusion and answer all of your questions. There are many things to consider when buying a home, I will cover some of them here, but if you are looking for more advice and guidance in your home buying experience, don’t hesitate to call the Song Real Estate team at 541-935-8855. The ‘steps’ on this list are not necessarily in perfect order because every home buying experience is different, but many of these things apply to most every home buyer. The thought of searching for a new home can seem overwhelming and you should always take your time, get good advice, and begin your search early! It’s important to begin researching real estate listings as soon as possible, and remember to keep track of houses that you are interested in. The first step in buying a house is to examine your finances and determine which houses you can afford. Before you start looking for a home, you will need to know how much you can actually spend. Part of this process is checking your credit report. You may receive a copy of your credit score for free online. Also consider how much debt you owe and how much money you are able to provide as a down payment. 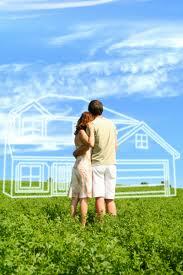 Next, find the mortgage lender who will give you the best deal as well as good, professional service. Be sure to look at lots of different lenders and narrow down your search until you find the one that best fits your needs. Ask lots of questions and don’t be afraid to negotiate for a better deal. After you have figured out your financial situation, it’s important to get pre-approved. A pre-approval signals to a seller that you are in a strong financial position when making an offer. It also gives you a better idea of how big a loan you qualify for. Now, it is time to decide on a real estate agent that will help you through all the decisions involved in the home buying experience. This is an important choice to make because your realtor will be your partner through the course of this process. Your agent will assist your when you wish to comparable homes for sale, track sale prices in the desired neighborhood and gain insight on many other aspects of a real estate purchase. Be sure to find someone that you are comfortable with and who makes you feel at ease (consider speaking to the wonderful Brokers at Song Real Estate) after you find a good realtor, continue to look at houses and consult your agent with any questions or concerns you have. 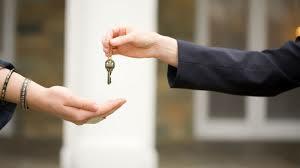 Make appointments with your agent to tour houses that you are interested. Remember to check out all the little details of the house to make sure everything works properly and keep an eye out for any preferences that you have. Some important things to evaluate when searching for a house include location, nearby amenities, plumbing, electricity, neighborhood quality, ambiance, parking, traffic, what the school district is like, and your safety. There are many other factors as well, and it’s critical to keep detailed notes on things you like and dislike about each house you view. Take your time. After you have found your ideal house, you should hire a qualified home inspector to check the house for signs of structural damage or things that may need fixing. Your real estate agent can help you arrange to have this inspection conducted as soon as your offer has been accepted by the seller. You can latter renegotiate or withdraw your offer if the home inspector finds any significant damage. You now must make a decision as to which mortgage lender to use, submit your mortgage application and application fee, and then it’s finally time to close the deal on your new home! Set a closing date and make sure you understand all of the costs involved. Closing costs will probably include your down payment, title fees, appraisal fees, attorney fees, inspection fees, and points you may have bought to buy down your interest rate. Find out exactly what you are paying for in advance so that there are no surprises. Now it is time to move in! It’s been a long and exciting process, but you are now a proud homeowner! Congratulations, and thank you for letting Song Real Estate help you through the process!